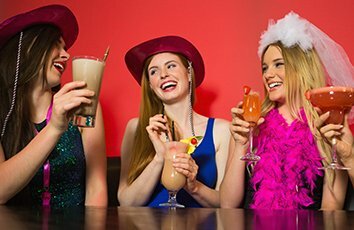 As planning a hen and stag party involves having a group of family and friends around to make the day more special; you are faced with the problem of moving your guests to your chosen venue. The problem is compounded as invariably there re plans for heavy drinking afterwards. With Bracknell minibus hire, you are provided with a dedicated driver, who takes you anywhere you request and can be helpful with your other arrangements, to ensure the celebrant gets a very specialtreatment. Our drivers are also available to take you back home after the party has ended. Our Bracknell minibus hire is indeed the best bet forstag do and hen do nights. The comfortable coaches offer everything to ensure a safe and lively trip, without a hitch. The drivers are experienced hands, who have taken several such trips in the past, and know exactly how to add value to your night out. Bracknell has its share of pubs and night clubs. However, the city of London, with its infinite options is justa hour’s drive away. Hiring our minibus and spending the night in London is a sure-shot way to make your stag or hen night memorable.